So I know that ALMS is kind of Eric's thing, but I guess this can be dedicated to WEC, ELMS, maybe a bit of GT racing too. There's a lot going on in sports car racing right now, more I'd say than even F1. I'll keep this thread updated throughout the year, with a seperate thread for next year's Le Mans. 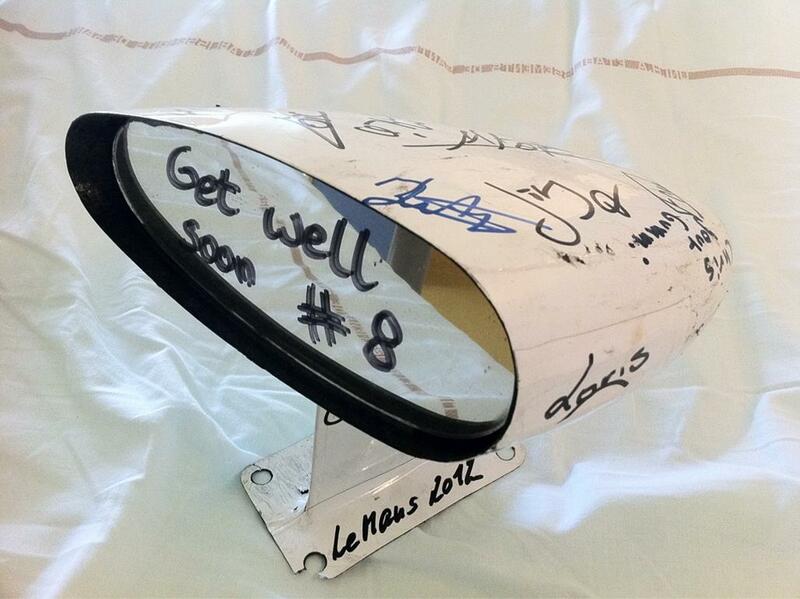 I was going to give this a few days to let the dust to settle from Le Mans, but there's a lot to talk about. Yesterday's race result was particularly historic. 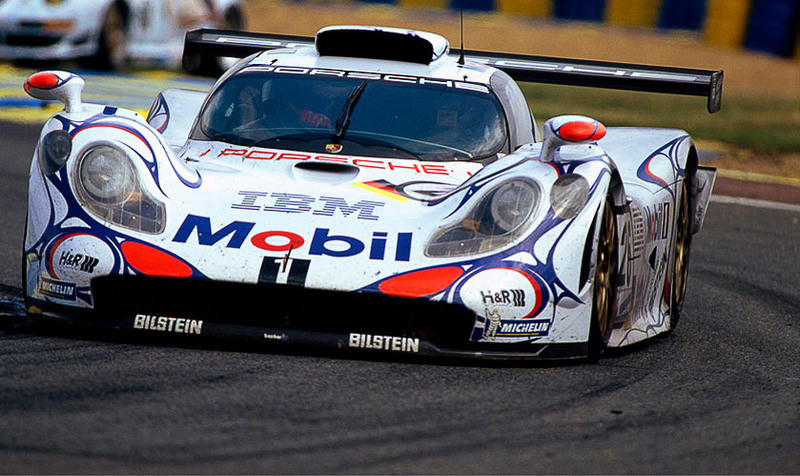 It was the first victory for a hybrid car at Le Mans. The ACO and FIA are known to be keen to encourage manufacturers to enter hybrid cars, with Honda admitting that such rules are very tempting. Toyota and Audi say that running sports cars is much more advantageous to running in Formula One currently, simply because it gives them the platform to develop new technologies, and that it is more relevant to their road car market. Mazda announced on Saturday that they would be using diesel power in LMP2 from next year, with Dempsey Racing running a Skyactiv-D engine at Le Mans, and possibly the WEC too. The engine will be available to other teams as well. Porsche have announced that their 2014 LMP1 will be petrol powered, but it is likely that they'll go down the route of Toyota and incorporate hybrid technology somehow. You have to say that the future has arrived, and expect plenty more hybrid projects to be announced in the future. 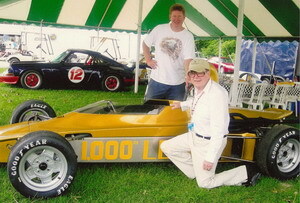 2012 might be the last year we see Lola cars racing at Le Mans. As discussed in the Le Mans thread, Lola recently entered administration. Things haven't improved, with no buyer yet found, and nearly all employees have been laid off. Furthermore, as Rebellion Racing announced on Radio Le Mans - spares are starting to become few and far between. There's even been talk they may have to switch to a Dome chassis with one or both cars to see out the remainder of this year's WEC. These are worrying times for Lola customer teams, not just in Europe, but further abroad as well. With a major rule change in 2014 effectively meaning the cars running now will become obsolete, time is rapidly coming to an end for Lola. Again, not totally sure how this will go. Been discussed about having a unique Deltawing thread, and no doubt if it ends up in ALMS, Eric will talk about it lots. Whilst the future for the Deltawing is unclear at this stage, what we do know is that the Garage 56 rules did work. They captured people's attention. As we now know, next year's '56 car will be GreenGT - attempting to become the first ever electric/hydrogen powered, zero emission racer at Le Mans. Will it be as successful as Deltawing? Pescarolo suffered one of their worse Le Mans races in recent years this weekend. One car (#16) retired very early on and the Dome suffering lengthy delays in the pit lane, only being brought out for the photograph and The Checkered Flag. Given Pescarolo's recent and ongoing financial problems, what is next for the legendary Henri Pescarolo and his team? In years gone by, a succession of accidents resulting in prototypes taking off. New safety measures have been brought in recently by the ACO to try and stop this happening, including the rather ugly fins that are mandatory on all prototypes, as well as holes in the bodywork above the wheels. But, as Anthony Davidson's crash showed, cars can still take off. So what is next? You can't tell me that I can't talk about ALMS in a thread about sports car racing. I have the authority, kiddo, and I'm flooding your thread with Grand-Am as punishment. Are the 2014 rules what I heard they were, where they're going back to a Group C-type deal where you have a maximum amount of fuel and the rest is pretty free? Someone was saying that's what it was, but I didn't ever see what the rules were. I know all cars are closed cockpit now. There's a consortium in the United States trying to rescue Lola. I'm under the impression it involves the Dyson family and Carl Haas. Which would make it the same consortium that tried to rescue Élan Motorsport (Panoz and Van Diemen)...which wasn't the most successful thing in the world. You have Élan, Swift, and Lola all in danger of disappearing. Élan got absolutely screwed with the Champ Car deal (DP01 was used for a total of 17 races or so) and never really recovered (and Dr. Don Panoz decided to take ALMS off TV for a year to build his Abruzzi...don't even go there with me). Swift put everything into getting the 2012 IndyCar contract assuming the process wasn't already rigged (from day one, the attention on IndyCar's part was to have Dallara supply the chassis; they only invited Swift, Lola, BAT, and DeltaWing so Dallara could poach ideas from each, which they did) and ever since getting rejected, they've been on the brink. Lola's problems extend past that, but losing the IndyCar contract didn't help. All three got caught out, at least in part, by the politics of American open-wheel (for the DP01, they were promised that there would be a merge, but it would begin with two separate series cooperating in 2008 and a unified series with a DP01 in 2009...the oval DP01 prototype exists; it was basically a DP01 with the G-FORCE IndyCar nose and wings...for Swift and Lola, they bought in to IndyCar's scheme). My point is, while it's not sports car-related, having the world's largest spec-series be a complete mess has implications well outside of that series and the country it races in. I loved the DeltaWing video, thanks. That's where I figure DeltaWing comes into ALMS. If you lose Lola, you lose a lot of your prototypes (Dyson's two in LMP1, Black Swan in LMP2, Dempsey in LMP2...though to be fair, Dempsey is going to WEC next year so we were losing them anyway). Four from a total of nine isn't good. Dr. Don Panoz is making a big push for a DeltaWing class in ALMS, and I have to wonder if they want to invest in DeltaWing to reinvent their series. The prototype count isn't high, it hasn't been, and it's not going to get better. The original DeltaWing concept came with an idea: it would be open-source. Anyone could build their own DeltaWing however they'd like to. Could we see that principle applied to a multi-car DeltaWing class? Could they get rid of LMP1 altogether and go to LMP2 with DeltaWing running as a classified LMP2 (I don't see how this wouldn't be fair...it's on the low-end of pace but on the very high-end of efficiency, which wouldn't be enough to make it dominant in ALMS' shorter races, and with reliability still unproven, you never really know at Sebring etc. Besides, there was a time when the Indy 500 was won by a diesel that did the entire 500 miles in zero pit stops. That's racing. You design something more efficient, you deserve to win). Where the money comes from to keep DeltaWing alive, I don't know, but it's going to have a life in the American Le Mans Series, because they want it there, and because they're going to need it there. The series needs to take a departure with Lola teams in question and the possibility of Dempsey and Pickett Racing (Muscle Milk) going WEC...DeltaWing's the departure. 1) NASCAR has roof flaps. Cars still get airborne. IndyCar has those bumpers. Cars still get airborne. The point can't always be to never have cars get airborne...but if you reduce the speed that they get airborne at, and reduce the force they're landing with, you're doing a good job. I can't say whether or not this happened, but if the fin slowed Davidson's car in the air before it landed, that's a start. 2) Related to 1, the other approach to preventing cars getting airborne is making it so that when cars do get airborne, there's enough protection. It's the fence post debate in IndyCar, i.e. what do you do to catchfences and posts such that when a car goes flying into one the driver is still safe. You can do things to both the cars and the tracks to make takeoff, when it happens, less of an issue. The best approach, of course, is to try to reduce the number of takeoffs (and the severity of them) AND to improve the conditions for when they do happen AND then accept that even after all that there will still be vulnerabilities and freak scenarios. It is interesting though. I believe the record for the highest speed down the Mulsanne straight remains from the Group C era when cars were reaching 240mph down there, or even a little higher than that. As for Lola, I hope someone does rescue it. As you've rightly pointed out - it would be a major problem if it does fold. I knew that Dyson used Lolas, but I wasn't aware that there was that many Lolas in ALMS. Lola has built some of the most iconic Le Mans cars in history, and the sport would be worse off without them around. You make valid points about Davidson's accident. Someone made the point that the fin helped the car spend less time in the air that if it didn't have it, and whilst I don't know if it is true, you are right that I guess you can't totally eliminate this kinds of accident. if you look at that accident, you can imagine that if it had flown any further it could have easily cleared the tyre barrier, and at that point of the track there wasn't any catch fencing. I also think something needs to be looked at in relation to back injuries in motorsport in general, because there seems to be a lot about at the moment. Moreau on Le Mans test day, Stanaway in a recent World Series Renault race at Spa and now Davidson are three that stand out. What the solution is to giving drivers better spinal protection, I'm not entirely sure. Anyway, as you'd expect, there's quite a bit of post Le Mans reaction. Toyota says the pace they showed when battling for the lead was genuine - they hadn't turned the engines up or anything. Also, Treluyer believes Toyota already have the edge in terms of the hybrid rule. I am generally fascinated to see if Toyota does any more WEC races this season or just goes back to testing the car. I hope they'll enter a few more races, I'm dying to see more of the battle between them and Audi which we saw but a small glimpse of at Le Mans. But I fear they will just go back to testing for the rest of the year, before a full programme in 2013. Also - a story that caught my eye. Attendance for this year's race was 240,000. Not bad - but apparently some way short of the record crowd they had last year, by about 5,000. Now that could be down to the economy, because I suspect (just guessing having never been myself) it is not exactly a cheap event to attend, especially if you make a week of it like a lot of the diehard fans will have done. I also think it is a lot to do with Peugeot's exit. I think a lot of people may have not gone this year because they believed the race would be a forgone conclusion from the moment Peugeot withdrew at the start of the year. But I think with how competitive Toyota was at such an early stage in their project, and Porsche's return in a couple of years as well, those numbers will start to rise again next year and the year after that. I've been doing a bit of research on this as well. It is a lesser known fact that Porsche actually built and tested an LMP1 car for 1999-2000 - but the project was scrapped at the eleventh hour and never raced. ...but it doesn't seem, having read your links, that they actually are. I must have heard wrongly that they were going back to a maximum amount of fuel for the entire race. I'll be interested to see where ALMS is in 2014. They always stray a little bit from ACO rules (especially allowing old cars to race and doing their own ever-changing Balance of Power). If there's an ALMS in the future, I have to wonder if 2014 is the time they really say "we're going our own way," ditch the Le Mans in the name, ditch the ACO, and do something else. You just can't get the automakers to bring prototypes to ALMS, and while the independents are fun, they don't last, especially when independent suppliers are really struggling. One thing I know ALMS proposed was moving to GT3 spec for the GT class (why...that's actually doing fine as it is...), but the teams all rejected that so they will not be doing it. But since I'm not allowed to talk about American racing here apparently , Viper is doubtful for the 24 Hours of Le Mans in 2013. I guess they want a full season in the country that can't be named first. On top of that, you have FIAT politics, with Ferrari already in the LM24 and SRT being a FIAT brand now. Of note, a fascinating detail discovered this week is that the DeltaWing had to be shortened by 35 inches (nearly three feet!) in order for it to fit inside the pit box at Le Mans, a mandate by the ACO. The show car, initially unveiled at Road Atlanta last year, is still at the original length. And with Jimmy's Porsche that never ran: what happened to Bailey, the South African LMP supplier? There was even a rumor that Dempsey Racing would use it this year (but obviously they did not). Hahaha, no, you can talk about ALMS in here if you want, I just wasn't sure if you did or not since you'd been discussing it it in the American racing thread. I guess now it makes more sense in here. The GT thing is pretty interesting actually - it seems to be the class that has the most potential for growth and is still in greath heatlh. Look at Le Mans this weekend and the GT battles that just went on and on and on. Most coverage the GTs have probably got in a while actually. The GT2/GT3 thing...in a way, you could argue that it may be better, if you look at the variety of cars available in GT3. You could have the Mercedes SLS, Audi R8, BMW Z4, McLaren MP4/12C, Ferrari 458, Aston Martin V8 Vantage, Porsche GT3, etc...it does have more variety than GT2. But then GT3 cars are pretty much identical cost to running GT2 cars these days, and then there's teams running GT3 cars in a championship called FIA GT1 World Championship where there's no GT1 cars at all as GT1 doesn't actually exist anymore...if you can figure all that out, you are a better person than me. Good to hear the Deltawing may get some more outings. I bet Nissan would be pretty annoyed if it wasn't allowed in any other WEC races this year. As for the Bailey you talk of...it exists! I believe I heard talk this past week of them wanting to run it next year, which'd be cool to see. Oh, and on the subject of aerial prototypes, Davidson's crash was nowhere near as bad as possibly the most famous crash in recent history. Peter Dumbreck behind the wheel, who coincidentally, drove the JRM car this weekend. Another thing on Porsche - since rules state that all LMP1s must be coupes by 2014, this is relevant. I've wanted to break the U.S. racing thread up for a long time but I've never figured out what I want to do. Maybe after this weekend I'll figure that out. But I'm keeping ALMS and Grand-Am here now and there's nothing you can do about it. I'm assuming there's a reason the Bailey LMP2 is in a Ford showroom? Does it have a Roush-Yates EcoBoost engine in it? The Project Libra Radical SR10 in ALMS is currently the only customer there so it'd be good to see that engine in something else. It's hard to tell how good the engine actually is when it's Project Libra. I have a few things to look forward to at Le Mans in the next few years: Dempsey Racing, the SRT Viper, and...Jeff Gordon. Once he retires from NASCAR (whenever that is, but certainly not too many years from now), he intends to run Le Mans with Corvette. I hope that happens. Dale Earnhardt's long-term plan was to try to win an eighth championship in 2001 and 2002, retire, and run Le Mans for Corvette in 2003. Nothing would have been cooler than that, but Gordon, that will be cool...so I hope it's soon. Carl Haas would be a very likely suspect to buy Lola - afterall, it was his relationship with Lola in the late 60's, 70's and 80's that made him in motorsport as he was the US importer of Lola race cars, including the all conquering T330/332 F5000's, the T340/42 Formula Fords and the iconic T70's. 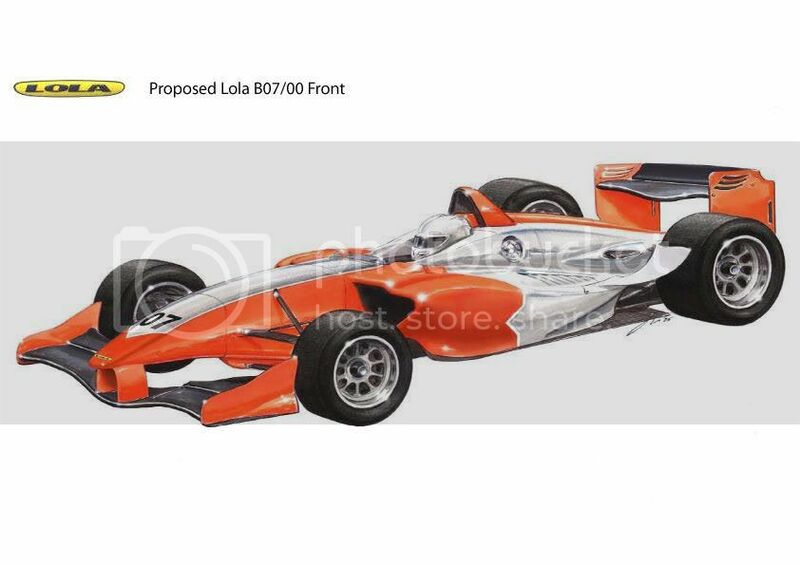 The only diffference between now and then is that back then, Lola was producing cars across the board - Formula Ford, F5000, CanAm, Sports Race, Formula Vee, Formula Super Vee, Sports Cars etc. Today though, they only really have an interest in LMP cars, which is sad in a way. What they will need to survive is getting into other category of racing (and frankly I don't see why they don't get into the grassroots again such as FFord and go up against Mygale, Piper and Stealth). Dallara is fairly diversified, and thus has been able to remain afloat. Swift is making Formula Nippon chassis, and Ralph Firman having sold out Swift is off making F1000 cars in the US (very nice looking cars too). There is still a non-attached Swift car made in the UK making Swift for Formula Ford - it was called EuroSwift but that was sold to a race team, and they are now handling Swift cars of that pedigree. By 1974, Lola had made 1000 race cars, having started up (seriously) in the sixites. The 1000th car being a good old Lola T342 Formula Ford. Maybe number one of the new era should be a Formula Ford too? Re Group C - there is a good read in the latest (July) Motorsport on Group C, about Porsche and about Le Mans. Go buy it. I can only get it through subscription, and had to end my subscription to all racing magazines two years ago, but everyone else should probably go buy it because it's a good magazine in general and I wasn't as stupid as I am now when I was reading it. The one thing with Haas is that he won't do it alone. His health isn't the greatest and the blunt reality is that he can't buy Lola a whole lot more time. He's in charge of distribution for Panoz and Van Diemen these days, the latter doing a lot more than the former which barely does anything these days (probably more to do with parts for anyone who owns a Panoz road car, which I can't imagine is a whole lot of people but hey), but at least he's still in the business somehow. His big sell to Paul Newman in 1982 wasn't his status as Lola's North American importer, though. When Haas told Newman he would be running a Lola, Newman said "hell no." When Haas told him he had Mario Andretti signed to drive, Newman/Haas was formed for 1983. But that's where Dyson might come in. I'm 99.99% sure Dyson Racing is the North American importer for Lola these days, but there's that .01% and it's probably where I'm dead wrong. A few of the Lolas racing in the U.S., though, are just cars leased from Level 5 Motorsports, funded by illegal payday loan activities and under federal investigation. Dempsey Racing did buy their own; Black Swan are leasing. So those leased ones may disappear anyway, even if Lola stays going, and Dempsey's WEC-bound...so ALMS is screwed even if Lola can hopefully be saved. An engineer I know over at Swift says it's just about over for them, and has been since they didn't get an IndyCar contract. They were then hoping Honda would call on them to do their aerokit, but Honda went in-house through HPD with Nick Wirth, and then IndyCar canceled the aerokit concept anyway. But that was a few months ago. Take it all for what it is...a lot of unsubstantiated stuff I pick up from loose, shady connections and dodgy websites. As much as I can gather from a dodgy translated article, that photograph isn't of the finished car and it doesn't make any reference to why that concept/show car is in a Ford dealer, so I have absolutely no idea I'm afraid. I do love nice translated nonsense from google though. 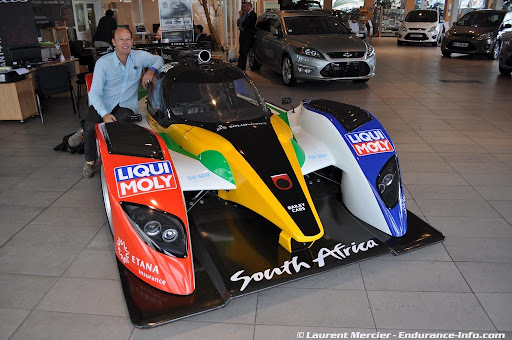 This weekend, at the 2012 24 Hours of Le Mans, there will be a South African built Bailey LMP2 on show. Although the car won't make its track debut this time, it will be on display at the Espace Privilege - Club ACO. This is an area reserved for VIPs but also visible to the general public, meaning that tens of thousands of significant people will be able to view the Bailey Cars LMP2 prototype race car. The vehicle will be unveiled to the media on June 12th, the day before the first practice sessions of the race week. The plan is to raise significant awareness for the team as a precursor to running in the European Le Mans series later this year and hopefully at the Le Mans 24 hour race next year. The project has had to overcome many obstacles and the state of the world economy has not helped its cause. A litmus test of just how tough things have been is the liquidation of the famous and historic Lola car company, which has been building racing cars in England for Formula 1 and Le Mans for over 40 years. The situation is an unfortunate by product of the decline in the world economy and the subsequent effect on motorsport sponsorship deals. Two more of the Bailey LMP2 cars are currently being built: one that will be going to Sbarta Sport in France and another ordered by a South African racer. This car will make its debut on local tracks by the end of August this year. Not sure if that means this Sbarta team has intentions to enter it in WEC races at a later stage or just stick to ELMS which is a struggling series similar to ALMS in a way. And it'd be cool to see Jeff Gordon to do Le Mans. I remember when there was talk a few years ago that Corvette would build an LMP1 car, but then the ACO changed the rules and things happened, and the current Corvette Grand Am car is basically identical to that concept they showed a few years ago. Thanks for the background Craig, it is interesting to hear that from your interest of Lola. It is unfortunate really. I guess it is a difficult situation they find themselves in. You'd think with all the Lola customer teams around the world in Europe and America, and even further afield that they'd have enough demand in terms of sports cars to be financially stable. But then the economy is in such a mess they don't really have the finance to branch out into other forms of motorsport and then the situation is as it is now. I know Craig won't like this, but I've been enjoying Anthony Davidson's latest tweets. Latest update earlier and sounds like he is in good spirits and on the mend. Managed to take my first steps today! A small step for man...an even smaller step for me!! Also, he said a lot of his team members dropped by earlier to see him and left him a gift. These guys are classy. I like it. James: even though a lot of Lolas are racing, it's still just spare parts when needed. They had some new orders this year (I know Dyson and Dempsey have new B12s; maybe Rebellion did too, but they may have just updated a B11), but I know Black Swan are using a B11/80 that Level 5 bought last year, and Dyson's second car is a B09/86 (illegal in Europe but grandfathered in for America). So not every Lola on track is corresponding to current money unless spare parts are needed from the factory (but I believe Black Swan are using recycled spares from Level 5, too, and they're the first Lola to have a big one this season). Plus Lola had a canceled order or two this winter that may have been costly. I don't quite remember the details there. Newman/Haas may have ordered a Lola and backed out last minute but I can't confirm that. F1 always feels slightly trivial after Le Mans, for me at least. It doesn't help that the next track is Valencia. At least last year we had the Canadian GP a few hours after Le Mans. Not sure how I feel about sharing that in an F1 forum, but I can't help it since its true. Yes Lola is in aerospace with the composites division. Early reports said that the race side employees had been decimated, but the aerospace/composite side, whilst losing some, hadn't lost as much. Lola's business history is quite interesting as so many ex-employees went off at the end of 1997 with something, and enough of something, to start up their own motorsport engineering business, two of which were Chris Fox and Fox Engineering, and TW Mouldings, whom snared all the Lola bodywork moulds, and are still based in Huntingdon which is where Lola were under Eric Broadley. I would imagine that the historic side would still survive - there were only a few full time employees for that, plus some of the period engineers (now retired) doing a bit of time for them. In a way, Bernie has killed some of these types of firms. GP2 and GP3 being single spec, multiple year contracts. GP 2 and GP3 pretty much killed of F3 and F3000 and FNippon as the stepping stones for aspiring drivers, so people are happy to run five year old cars in those divisions now. There are a few areas that I would look at getting into, if I were running things, and that would definately be FFord, as outside of Formula 1, it is the only other FIA "any chassis goes" division, plus sports racers (1600cc - 2400cc) and go up against the likes of Juno, and that one starting with R that I can't think of for the life of me at the moment, plus the myriad of US based cars as well, plus make a motorbike engine open wheeler for F1000 racing. At least then the gentleman drivers will be buying, buying more, and more often. To work only at the top niche works severely against you these days. You shall be hung, drawn, and quartered!!!! Yeah, I know how you feel. After Le Mans I'm not really that excited for F1 this weekend, and as you say, Valencia is such a crap track it doesn't really create much excitement anyway. Can we just run Le Mans again this weekend and forget that the European GP is ever happening?